Fall is the perfect time to take care of lots of things around your home. That includes your lawn. There are several easy things you can do now that will help you have lush, beautiful grass next spring. At EnviraScape, our lawn care service in Rock Hill, SC has helped homeowners throughout the Charlotte area of the Carolinas keep their yards looking great for over 15 years. Here’s our advice for what you should do now to have a healthy lawn in 2018. Rake those leaves. Leaves are one of the things most of us look forward to each fall. But while leaves are beautiful when they’re on the trees, they’re unsightly on the ground. They can also create a barrier between your grass and the air, creating a prime breeding ground for fungus and other turf diseases. Don’t forget to mow. It’s tempting to put the lawn mower away for the winter, especially if you’ve had to cut the grass one or more times a week during the summer. However, continuing to maintain your lawn through the fall will keep it healthier as we head into the winter. Watch out for weeds. Did you know that fall is a great time to get rid of weeds in your lawn? Apply a weed killer (following the manufacturer’s directions) and get rid of these invaders once and for all. Fertilize now. Fall is perhaps the best time for you to fertilize your lawn. Adding fertilizer will allow your lawn’s root system to strengthen even as the temperatures drop. It’s something you can do now that will pay big dividends in the spring. Pay attention to patches. Just about every lawn develops a bald patch every now and then. If you’ve got just a small spot that has no grass growing on it, put down some grass seed, fertilizer, and mulch. Water regularly, then monitor for growth. Start the process now and the bald spots will be gone come spring. 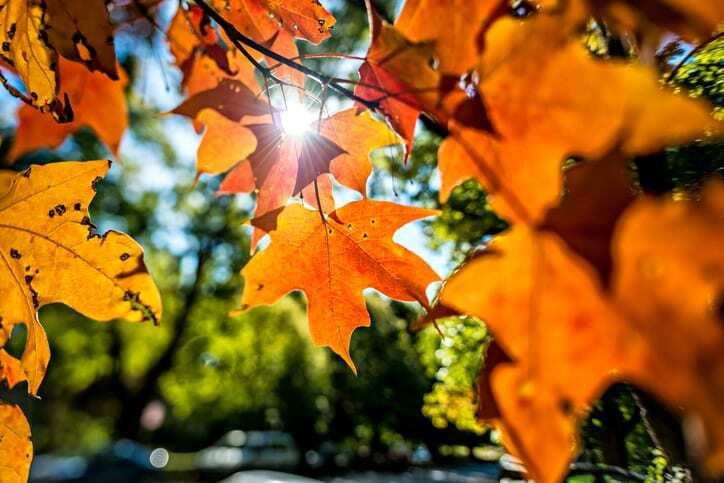 If these tips aren’t enough to get your yard in good shape this fall, don’t worry! EnviraScape offers complete lawn care services in North and South Carolina. Call today for landscaping and lawn maintenance in Rock Hill, Fort Mill, Indian Land, Charlotte, and surrounding areas.